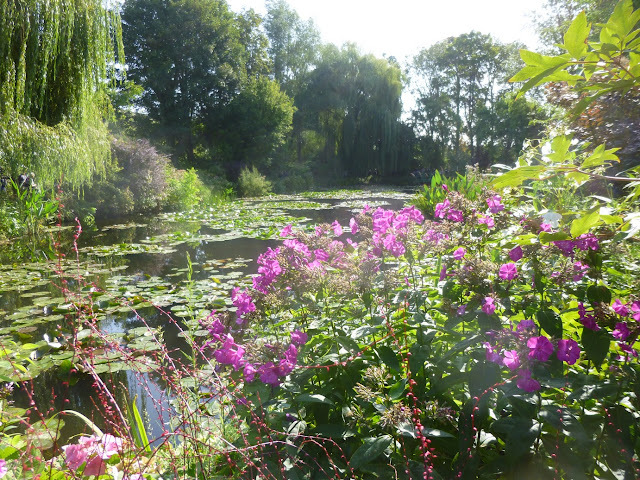 A few years ago, before I knew much about gardening (not that I'm saying I know everything now), I had the chance to visit Claude Monet's garden in Giverny, France and was gobsmacked by its floriferous beauty. 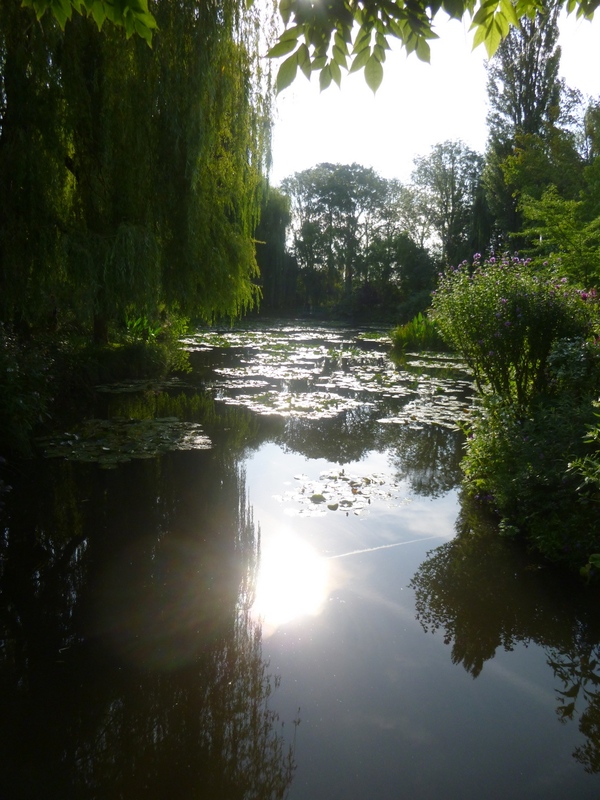 So on a trip to Europe last month, I jumped at the chance to return to the Giverny garden once more and share some of its beauty with you on this blog. 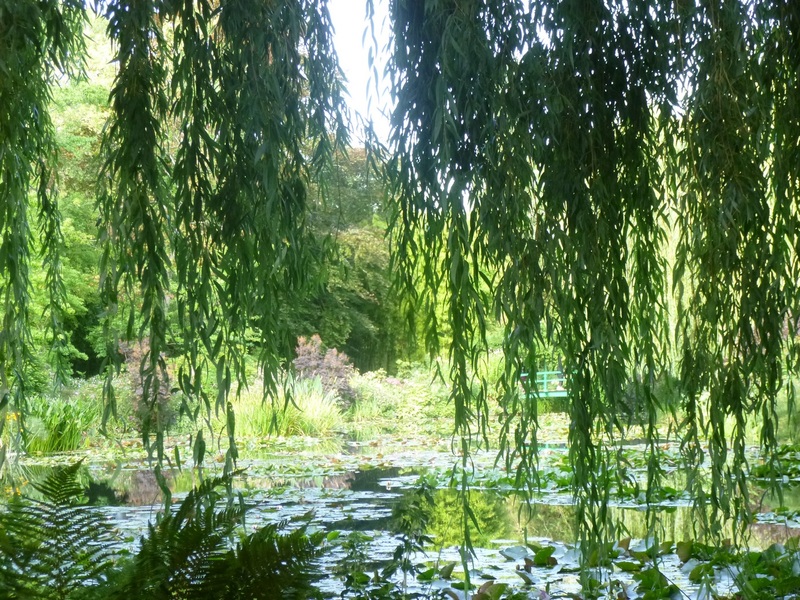 For the last couple of decades of his life, I think Monet focused mainly on painting his garden. Some of his most famous paintings are of garden scenes, including his famous series of waterlily paintings on display at the Orangerie museum in Paris. Grape-leaf anemone? 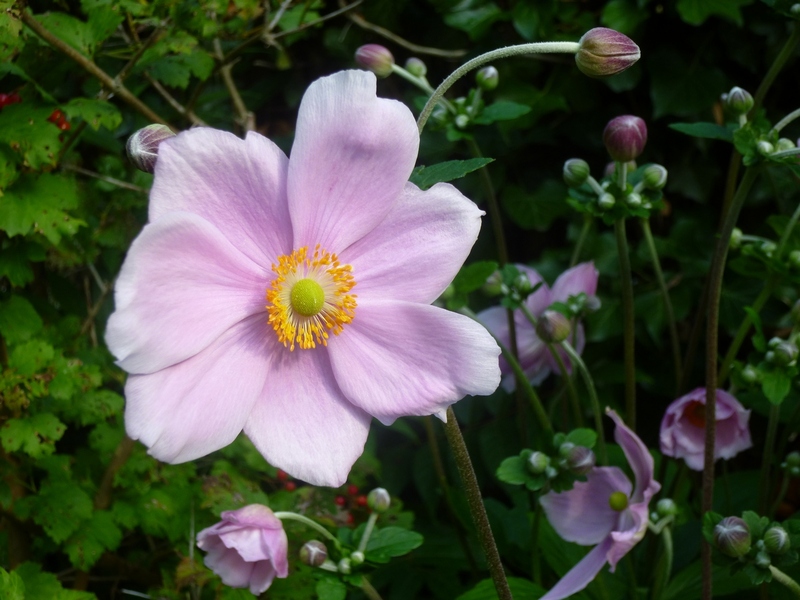 Anemones seem to be a favorite plant in parks and gardens in London and Paris these days. I believe this is glossy abelia (Abelia x grandiflora). Not sure about the identity of the star-shaped dark red flower. 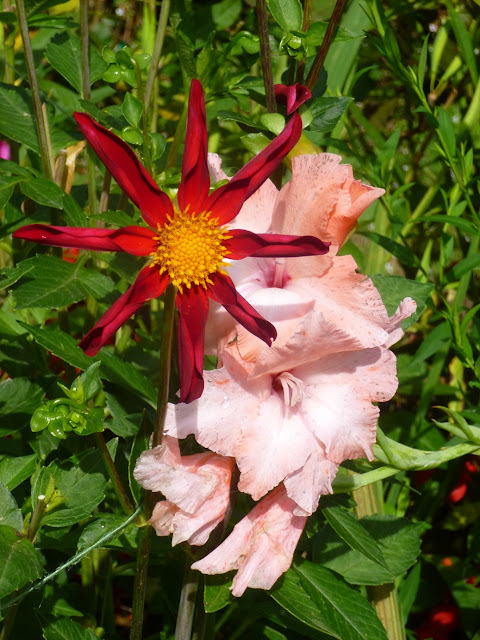 But I love the contrast with its ruffled pink gladiolus neighbor! 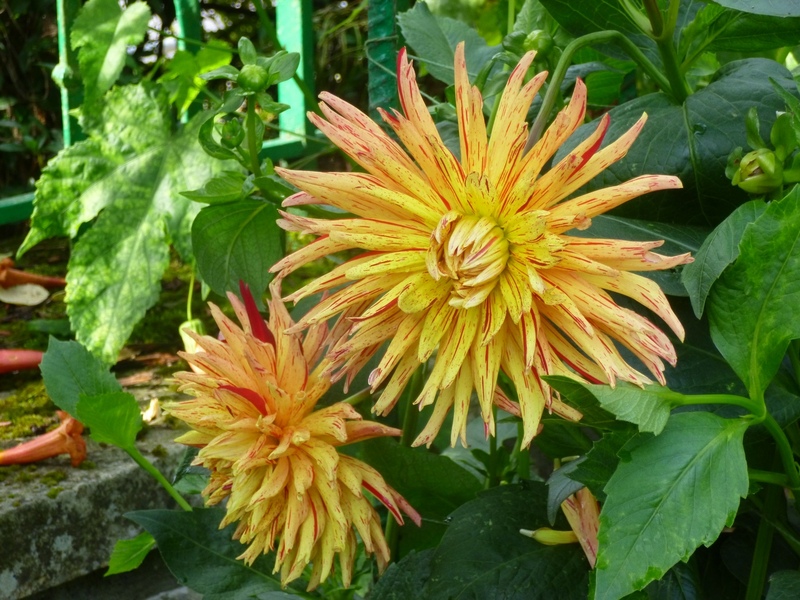 Update: Enrico, a kind gardener at Giverny, has informed me that the red flower is actually Dahlia 'Honka Rouge'. 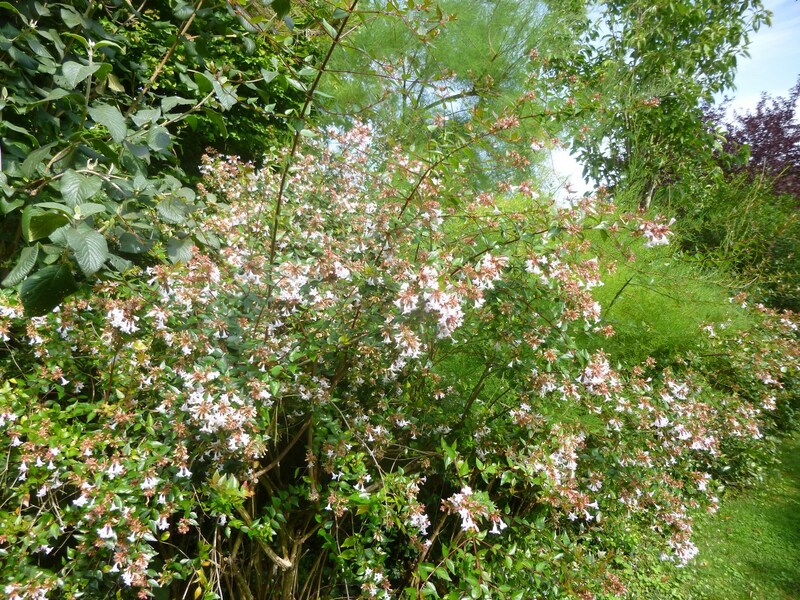 Thanks for the info, Enrico! Down the garden path... The main part of the Giverny garden is interlaced with these paths leading toward Monet's house, visible here in the background. 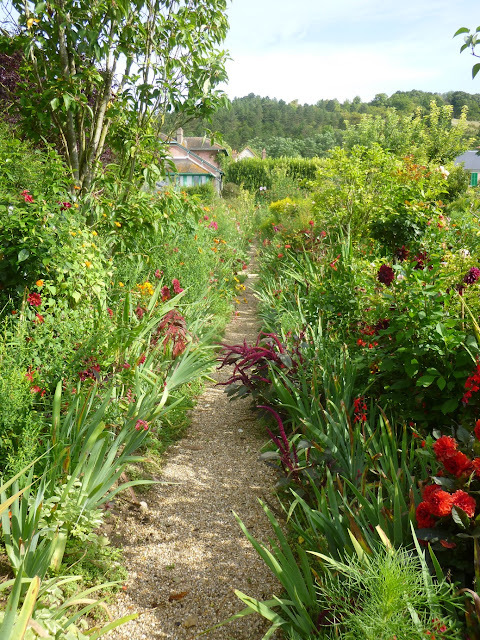 The paths are not for visitors, but for the gardeners who weave in and out of the lush plantings making magic with trowel, rake and pruners. 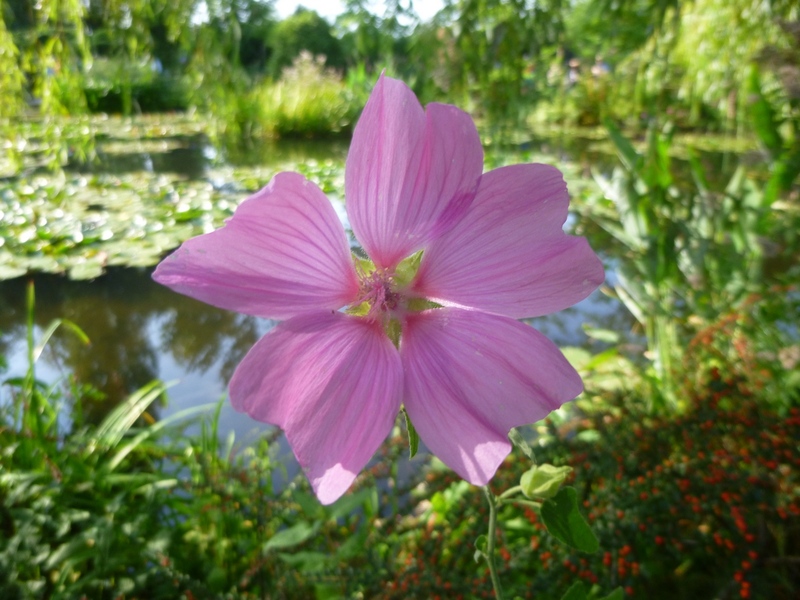 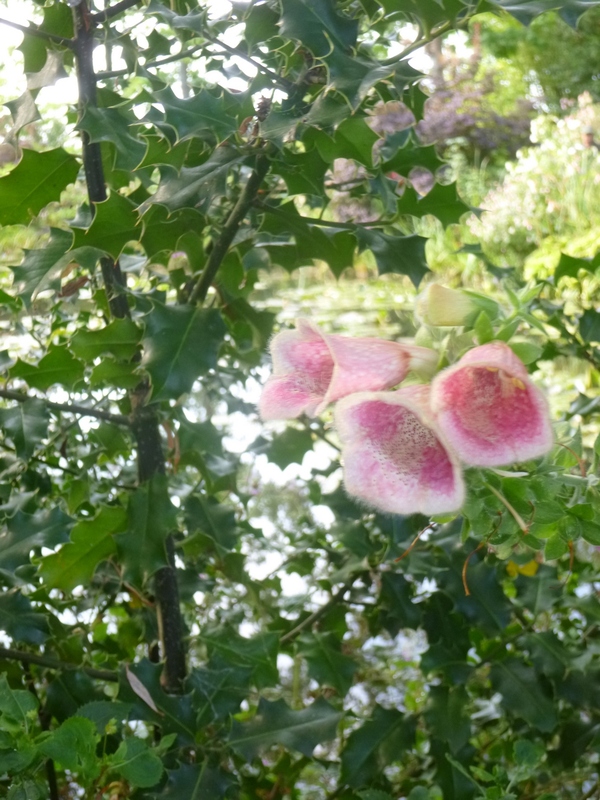 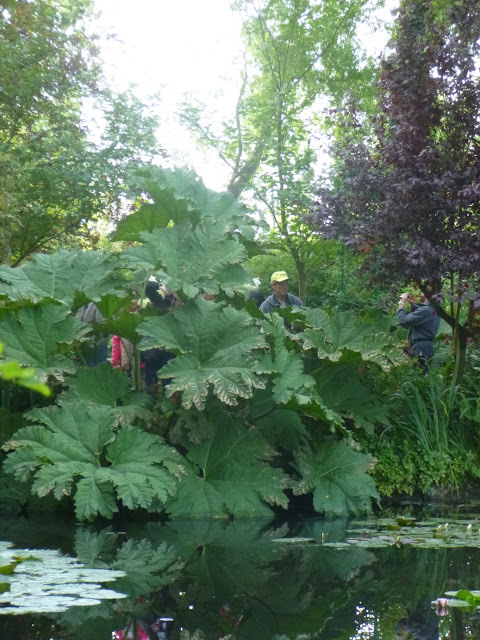 Don't want to miss the second and third installments of this Giverny visit? Be sure to sign up for the free email newsletter! Ah, to Bee in Paris!